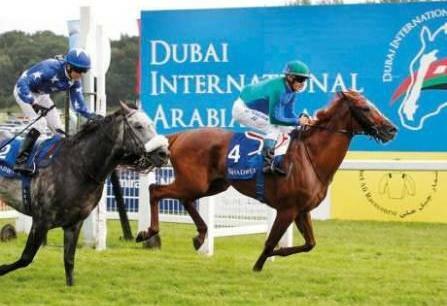 Dubai: Newbury Racecourse in Berkshire, England is bracing itself to host the 2018 edition of the Dubai International Arabian Races (DIAR), one of the best and most prestigious full days of Purebred Arabian racing anywhere in the world, this weekend. Held under the patronage of Shaikh Hamdan Bin Rashid Al Maktoum, Deputy Ruler of Dubai and Minister of Finance, the event is designed to help more countries develop the sport internationally through its sustained sponsorship and support. In order to encourage greater participation at the Newbury showpiece on Sunday, July 29, DIAR once again organised a series of qualifications races around the world where the best of the best have been invited to compete at the Newbury Arabian season gala. The DIAR programme consist of 16 ‘Preparation Races’, which were launched at Capannelle Racecourse in Italy on April 29. Subsequently, races were held at Newbury (June 14), Chepstow, UK (June 15), Turf Bro Park Racecourse Sweden (June 18) Newbury, UK (June 26), Turf La Teste de Buch Racecourse, France (July 3), Newbury July 5), Turf Duindigt Racecourse, Netherlands (July 8), and Newbury (July 12). Sunday’s grand finale features five international races, with three Group 1 races and a Group 3 race. Significantly, this year’s renewal of the DIAR will see a total purse of £188,000 on offer as well as the renewal of the travel allowances for international runners competing on that day. The bonus scheme is now well established in the DIAR programme whereby horses that finish first, second or third in any of the ‘Preparation Races’ are eligible to compete for a bonus at DIAR Newbury on Sunday. “We are delighted to announce the renewal of the travel allowances for international runners competing in the races on Sunday and the renewal of the DIAR bonus prize fund for 2018,” added Al Sayegh. “The bonus fund encourages international runners to the UK by offering a prize money bonus to horses placed in DIAR preparation races in Europe, which then go on to win one of the bonus races at Newbury. The Dubai International Arabian Races are run under the patronage and guidance of Shaikh Hamdan whose goal has been to educate more people about the Arabian breed, the sport of Arabian horse racing, and the Arabic culture that underpins it. Declarations to run open on Tuesday, July 24 and close at 11am (2pm UAE) on Wednesday, July 25.